What are gamma brain waves, and how can these frequencies affect your performances? Find out now! Gamma Waves are a pattern of neural oscillation naturally occurring within the human brain. These patterns were first observed by scientists more than 50 years ago; these brainwaves change in frequency and intensity depending on the task that we are performing. For example: when we are deeply at rest, our body experiences the presence of Delta Waves. Today, however, we will be talking about Gamma Brain Waves, and how they can help with mental stimulation. According to a popular theory, Gamma Waves are implicated in the creation of the unity of conscious perception. They have an active role in helping you maintain focus, as these waves sweep your neuronal clusters 40 times per second drawing your neurons in synch with the attenctional foreground. These waves oscillate with a frequency from 25 and 100Hz, though 40Hz is the most typical. How to use Gamma Brain Waves for mental stimulation? Constantly listening to a raw sample 40Hz sound can be unappealing for many of us. However, if we enclose the sound within a song, we can make the perfect studying music. 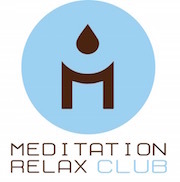 Meditation Relax Club has created the following video keeping the sound of gamma waves in the background; try it out during your next study session! Do you feel focused? According to theory, these songs should regulate the pulsation of your neurons, helping you stay attentive and mindful. Did this special brain music do the trick for you? If they did, or if you are in need for any music to study to, head over to the Meditation Relax Club channel. There, you can listen to many more free songs that were specifically composed for your needs by adding relaxing waves for your mental stimulation.